Pea Ridge, a small city in Benton County, in Northwest Arkansas close to the headquarters of Walmart, has experienced a growing range of unmet student needs in recent years. While median household income in the city proper is over $57,000, substantially higher than the $40,511 state median, household income varies widely across the areas covered by the school district.1 Just south of Pea Ridge in Little Flock, median household income is over $65,000, and the poverty rate is about 5 percent. On the eastern edge of the school district, in Gateway, median household income is $42,000, and more than 12 percent of residents live below the federal poverty line. Funding for school lunches grew by more than $30,000 between 2011–2012 and 2014–2015 in a district serving just 850 students.2 Challenges ranged from the need for food and clothing among elementary school students to broken homes and homelessness among high school students. In 2013, Pea Ridge superintendent Rick Neal, who had been the Pea Ridge high school principal from 2005 to 2012, had no way of addressing students’ needs through school-based strategies alone, and no mechanism for leveraging the resources of the community to meet those needs. Neal saw the potential to address the unmet needs of students and their families through Bright Futures, an organization that uses community-building to tackle poverty-related impediments to learning and student success. Because the mission of Bright Futures is to build capacity within and among communities, the focus is on developing coalitions. In Pea Ridge, the core of the coalition is the school district, which has established partnerships with a range of public and private community organizations. Each partner advances one or more of the three core Bright Futures goals. The small school district includes one primary school, one intermediate school, one middle school, one high school, and one alternative learning school. Additionally, in 2014, the district opened Pea Ridge Manufacturing and Business Academy; a charter school designed to build on student’s unique strengths and increase their success beyond high school. 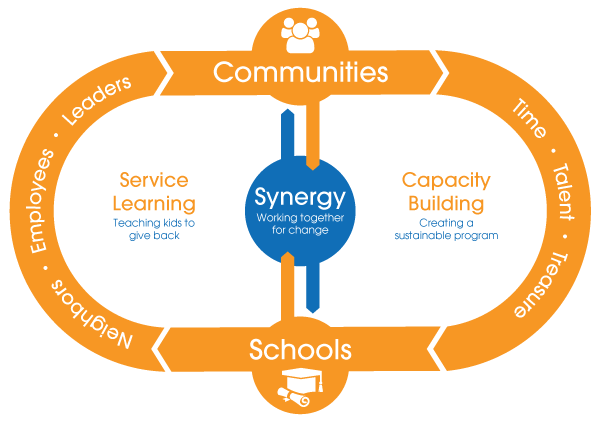 As a partner, Bright Futures USA brings three elements to the coalition. The Bright Futures Board of Directors provides oversight to the organization and staff to carry out the mission of Bright Futures. The organization provides training, resources, and ongoing support to Bright Futures affiliate communities. The Advisory Board for each affiliate community consists of faith-based organizations, human-service agencies, business partners, and parents. The boards actively mobilize community resources to tackle district-wide challenges and provide ongoing support to building-level Bright Futures Councils. Each school within a community has its own Bright Futures Council with representation from school faculty/staff, parents, students, faith-based organizations, human service agencies, and the business community. The council’s primary responsibility is to mobilize resources at the school/community level to support teaching and learning. Also part of the coalition are local businesses, including Arvest Bank and Walmart, and faith-based organizations, including local community churches and the Ministerial Alliance. In keeping with the Bright Futures philosophy, Pea Ridge provides supports at both the student level and at the school- and district-wide levels. When a student need is identified internally, a referral is made to the designated school personnel. The appropriate human service agency or nonprofit group is contacted to fill that need. If the need cannot be filled within 24 hours by one of these organizations, the district uses social media to engage the community in filling the need. The school district has designated a social worker to provide individualized support services to students and families based upon needs. Three area agencies—Ozark Guidance, Vantage Point, and Day Springs—provide mental health professionals who offer individual, family, and group therapy to students. The school district also works closely with these and other area mental health agencies to offer therapeutic day treatment to students whose severe emotional and behavioral issues preclude their participation in the traditional school setting. Providers include Ozark Guidance Therapeutic Day Treatment, Vantage Point Day Treatment, and ALEX Treatment Day Program (which is designed to support high school students). Lunch Buddies is an on-site program that allows community members to meet at least twice a month with a child—the “lunch buddy”—during the student’s recess/lunch period for the entire school year. Car/Bus buddies is a community/business group organized by City of Pea Ridge leaders who welcome and encourage elementary students when they are arrive at school. Car/bus buddies have included the Pea Ridge football Blackhawks’ mascot (Hank the Hawk), Northwest Arkansas Naturals’ baseball mascot (Strike), and Mayor Jackie Crabtree and his staff. The Pea Ridge Manufacturing and Business Academy (PRMBA), which opened for the 2014–2015 school year, is centered on the philosophy that every student is a Career and Technology Education (CTE) student, and that students should not be limited to only one post-graduation track, college. The goal is to equip students who graduate from PRMBA to go straight to work, to attend a two-year community college or technical school, or to attend a four-year college or university, as they choose. Students who are involved in PRMBA have been supported by Bright Futures through donations of work clothing, and with money for certification and for tuition for local community college courses. Pea Ridge Academy provides an opportunity for high-rish students who may have special academic and other needs. Students who attend the academy have fallen behind due to external situations such as pregnancy, poor attendance, or poor support systems in the home. As an alternative learning environment, the academy provides a second chance by letting students work in a small group environment and one-on-one with teachers. Students may also regularly participate in hands-on, curriculum-based, service-learning projects that foster citizenship and leadership. 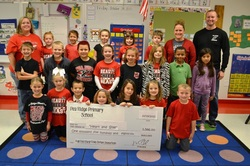 Pea Ridge School District partners with the Rogers Activity Center to provide after-school programs to third- through sixth-graders at the intermediate school gymnasium. Pea Ridge primary and intermediate teachers delivered young adult books to children within the Pea Ridge school district during summer 2015. By partnering with Bright Futures and several local businesses, the Pea Ridge Book Bus project helped keep over 183 students engaged and enjoying the love of reading. The district’s intentional and visible use of social media provides a meaningful way for individual community members to support children by putting the resources they have in their closets, attics, and basements to good use. The school district has established a Bright Futures Closet that serves as a central repository donated items that counselors can draw from when ensuring that every child’s basic needs are met. Pea Ridge School District uses its Bright Futures Facebook page to communicate student and family needs for clothing and other items and to thank those who respond.7 The page also spreads the word about events like Stuff-the-Bus, described below, and service activities for students (through production of videos, etc.). The school district’s social workers offer a range of resources through their webpage, including school-based mental health providers, area hotlines for child abuse and neglect, food pantries, rental assistance, and information about local thrift stores. 8 And to simplify application processes,, the page also provides downloadable forms for a range of public assistance benefits, such as low-income housing subsidies and free and reduced-price school meals, and offers to help complete applications. 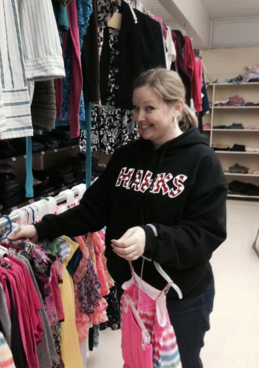 Bright Futures Closet and Pantry: Pea Ridge Bright Futures manages a local clothing and food donation site that supports other Bright Futures–affiliated events and helps serve students within the district. Freedom Fest: During this local festival Bright Futures collect items for the Bright Futures Closet and Pantry. Rent the Tent: This fundraising event is held during the Pea Ridge Blackhawk football season. 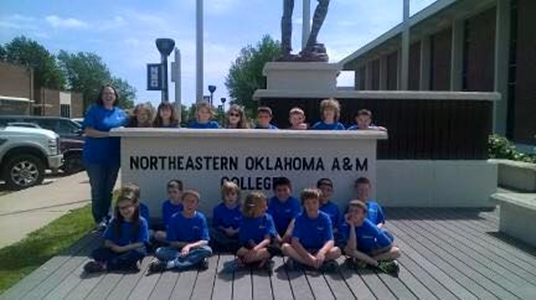 Operation College Bound: Bright Futures sponsors this event to take students from kindergarten through 5th grade on tours of local colleges and universities, to encourage their aspirations to postsecondary education. Daddy/Daughter Dance: Bright Futures works with the Pea Ridge Parent Teacher Organization to increase school involvement in promoting girls’ positive self-image. Cap & Gown and Prom Extravaganza: Bright Futures seeks to eliminate the poverty gap in experience by providing students with opportunities to celebrate reaching important milestones. Scholarship program: Through Bright Futures’ fundraising activities, Pea Ridge is able to offer three $1,000 college scholarships to students who have participated in service-learning activities. Community service: Bright Futures trains volunteers on school and community policies and practices. A few core practices and policies have both been instrumental in the progress Pea Ridge Bright Futures has made in its first two-plus years and pose a challenge going forward. While the state of Arkansas funds a high-quality pre-K program, Arkansas Better Chance (ABC), it has not allocated sufficient funds to serve all of the state’s eligible preschoolers. Pea Ridge, along with many other school districts, does not have funded slots for its three- and four-year-olds, so it turned to a private donor, whose grant, combined with tuition from parents who can afford to pay, currently supports the district’s pre-K program. 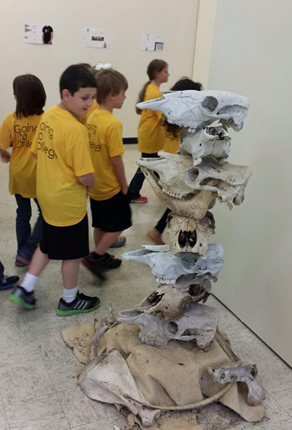 Service learning, which is core to the Bright Futures strategy for empowering students and families, improving communities, and raising academic achievement, has been well established in Pea Ridge. However, superintendent Rick Neal reports that helping teachers to incorporate it into their curricula poses challenges. Teachers need to understand its benefits, see examples of how students can give back, and take time and thought to prepare their own service-learning activities. Teachers are taught to see their core mission as teaching content, meeting deadlines, and following guidelines. Training them to observe and respond to students’ basic needs is thus an extension of basic teacher preparation for many. To fulfill this need, Pea Ridge offers district-wide professional development on concepts such as understanding poverty and how to look for signs that a student is falling through the cracks. Over the past two years, those professional development strategies have fostered a new tradition of giving back in the schools and the community and significantly enhanced teachers’ personal relationships with students, superintendent Neal says. Bright Futures has been operating just a few years and thus hasn’t produced a broad enough data set to fully assess its impact on student progress. Nevertheless superintendent Neal sees some clear indications of improvement. In August 2015, the back-to-school bash offered all the district’s students and their families school supplies, haircuts, and clothing, and served breakfast to all community members in attendance. 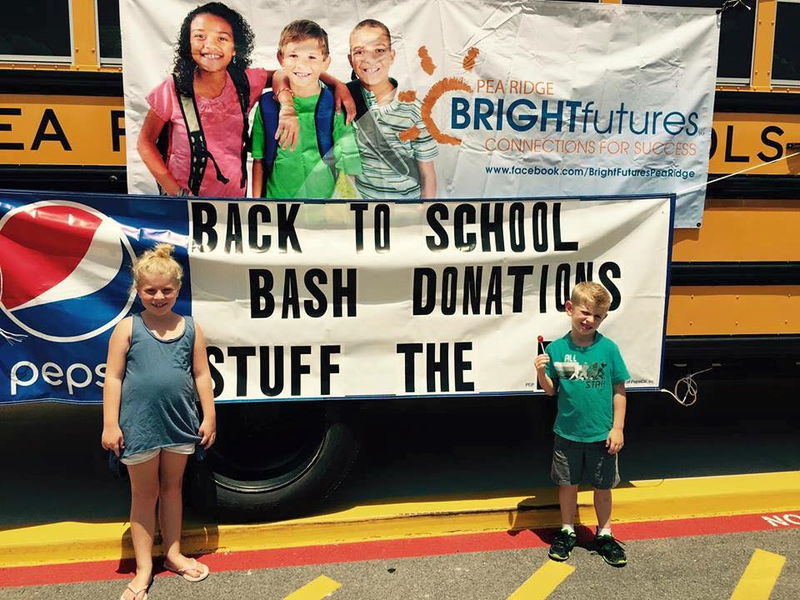 This followed the July “stuff-the-bus” event, which provided free school supplies to students who are most in need. At Christmas, the school district supports the Angel Tree program, in which families sponsor students (and/or families) who would otherwise not receive gifts during the holidays. In 2016, Community First Bank and Walmart, among others, provided sponsors. In November, 2015, high school Accelerated Growth Advisory Students (AGS) hosted a canned food drive for the Bright Futures food pantry. 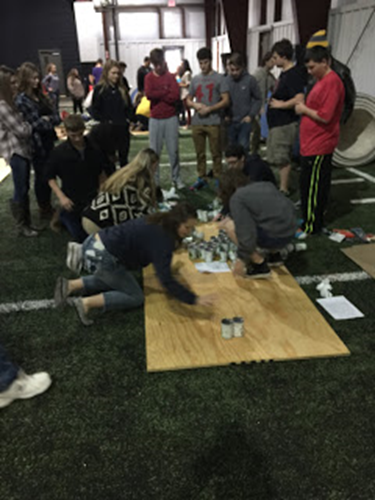 AGS students created PSAs and competed with one another to gather more than 3,000 cans of food. At the primary and intermediate levels, frequent residential moves disrupt both individual students and their teachers and peers. Two families who have received Bright Futures–related supports have been able to reduce the disruption associated with moving. Support with transportation to Arkansas Children’s Hospital in Little Rock, along with hotel and meal costs, allowed the sick student’s sibling to remain in school at Pea Ridge and the mother to stay with her child in Little Rock. Bright Futures was able to help another family with multiple siblings that was several months behind on utility bills stay in the home by reaching out to local utility companies and helping to offset the cost. High school–level supports have helped students participate in extracurricular activities and advanced their career paths. Four students who received work boots were thus able to obtain experience in welding, which provided them with a potential career path and encouraged them to stay engaged in school. In collaboration with Bright Futures, a Pea Ridge doctor volunteered her time and services to ensure that all students wishing to participate on a sports team can obtain the required physical exam (without which they would be deemed ineligible). Clothing donations have enabled various school groups, such as choir, to increase student participation at school assemblies. Bright Futures was launched in 2010 in response to calls for Joplin, Missouri Public Schools superintendent CJ Huff to raise the district’s high school graduation rate. Recognizing the many impediments to students’ school and life success posed by the high rate of poverty in the community, Huff launched a community-wide strategic planning process in the fall of 2008. That process spawned Bright Futures in Joplin. that honesty and integrity are the key to maintaining purity of mission. all of us are better together than any one of us alone. As a result of the success of the Bright Futures effort in Joplin, many other surrounding communities asked to replicate the effort. In February 2011, the organization attained nonprofit status, and by the end of that year, there were five Bright Futures affiliates in Missouri. 1. “Pea Ridge, Arkansas (AR) income map, earnings map, and wages data,” City-data.com. 3. From email correspondence with Elaine Weiss, December 2015. Unless otherwise noted, information and details about the district were provided by Pea Ridge School District superintendent Rick Neal and/or district staff. 4. “Why Bright Futures?” Bright Futures USA (website). 5. While the state does fund the high-quality ABC program, no funds were available in 2014–2016 to add Pea Ridge students, so this funding makes pre-K privately available to students who qualify for ABC but lack access. 6. “Pea Ridge Pre-K,” Pea Ridge School District (website). 7. https://www.facebook.com/BrightFuturesPeaRidge. According to Bright Futures founder and former Joplin, Missouri, superintendent CJ Huff, Facebook has been a critical tool for the Joplin and subsequent Bright Futures affiliates to connect community members with unmet needs to resources within the community and in nearby communities. 8. Pea Ridge Social Work Services (website). 9. Benjamin Hardy, “Education Committee Leaves NSLA Funds Flat for Fourth Year, Waits on Teacher Salary Increase.” Arkansas Times. October 14, 2014. 10. Conversation with Elaine Weiss, November 2015. 11. “Primary School Coin Drive,” Blackhawk Brag Page, Pea Ridge School District. 12. From email communication with Elaine Weiss, November 2015. 13. Students took these exams on January 6 and 7, 2016. (Elaine Weiss email correspondence with Pea Ridge superintendent Rick Neal on January 8, 2016). 17. Data from Missouri Department of Elementary and Secondary Education and Joplin High School Administration. 18. Data from Missouri Department of Elementary Education and Joplin High School Administration. 19. “Bright Futures Financial Overview,” Joplin School Board report dated October 27, 2015. 20. “Our History, A Bright Idea,” Bright Futures USA website.